Linda Lou (Welch) Limlaw, a.k.a. Gangie, Lyn, passed away peacefully at home surrounded by her loving family on April 4, 2019 after a short but courageous battle with cancer. She was born on October 23, 1951 in Barre, VT to Victor Welch and Evelyn Aldrich Welch. Linda graduated from Bradford Academy in 1969. Linda married Murdo Limlaw after high school and they began their life together in Waits River, VT where they raised their two daughters, Patricia Ann and Catherine Mae, before moving to Newbury, VT in 2008. 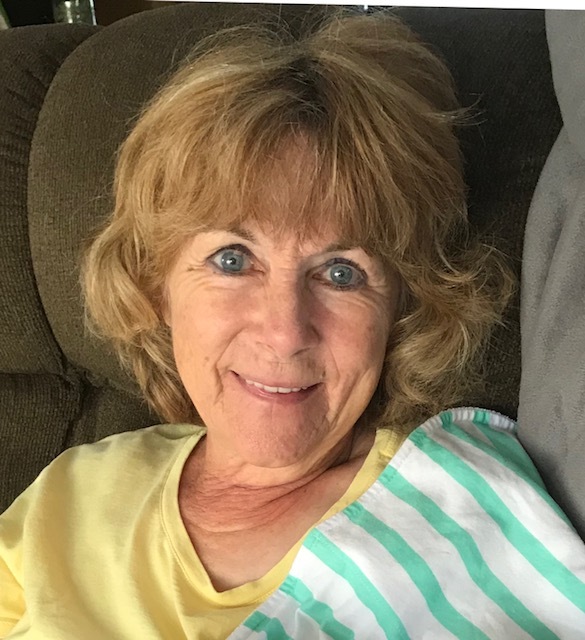 Linda was employed at Whiting Creamery, and Huntington Homes, before becoming a partner with Murdo in their logging and custom farming businesses. She spent several years teaching Sunday school at Waits River Methodist Church, as well as bible study in her home later on. Linda found great joy spending time outside caring for her animals which included: cows, horses, sheep, llamas, chickens, ducks, which at times made it seem like a petting zoo, much to the delight of her grandchildren. She loved spending time with her family and friends, sugaring with her father and family, being outdoors, hiking, kayaking, horseback riding, gardening, going to yard sales, mowing her lawn, touring around the twin states on her purple Harley Davidson, crafting, painting, karaoke, and playing music. Linda is survived by her husband Murdo of 50 years, her daughters, Patricia Magwire of Waits River, VT, and Catherine Thurston and husband, Nick, of West Topsham, VT. Her beloved grandchildren, Dylan Magwire, and wife Chelsea, Abbie Magwire and boyfriend Cole Sutton, Kendal Magwire, Ryan Thurston and wife Desiree, Tyler Thurston, Aaron Thurston, Connor Thurston, and one great grandson, Grayson Thurston. Her brother Donald Welch and wife Florence of Newbury, VT, sister Cheryl Eggleston and husband Ernie of Waits River, VT and sister in law Linda Welch of Bradford, VT. Her many nieces, nephews and cousins. Her loving and loyal poodles, Lucy and Rosco. Linda was predeceased by her mother and father and her brother, Jerry Welch. She didn't have time to finish all she was trying to do on this part of her journey, but now she can rest, forever be free, and talk all through eternity. Please join the family for calling hours on Tuesday evening, April 9, 2019 from 6 pm-8 pm at Hale's Funeral Home in Bradford, VT. The funeral will be on Wednesday, April 10, 2019 at 2 pm at Hale's Funeral Home. In lieu of flowers please consider making a donation in her memory to Oscar's Memorial Dog Park, 3890 Route 5 North, Newbury, VT 05051. Linda's family wishes to thank the medical staff of DHMC, Cottage Hospital, and VNH for their compassionate care. Gratitude and appreciation is also extended to her family and friends for their positive thoughts, prayers, and support during this difficult time. Everyone's love and kindness is deeply appreciated and will always be remembered.